With the Spring 2019 service change, routes 21X, 55, 56, 57, 113, 120, 121, 122, 123, 125, and C Line began serving two stops on 1st Ave. 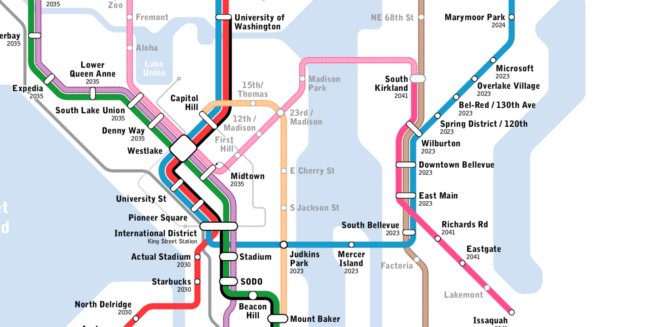 This will be the first time this century that [ed: some of these] southwest Seattle routes will connect directly to Pioneer Square. Both stops are centered on King Street, albeit at the furthest end of the intersection, with the northbound stop closer to Jackson and the southbound stop nearly at Dearborn. Sound Transit and King County Metro provided an update to the Mercer Island City Council on East Link’s construction progress on Tuesday, March 19. The presentation also included information about the future Mercer Island Transit Interchange, which is the new name for the project formerly known colloquially as the bus intercept. 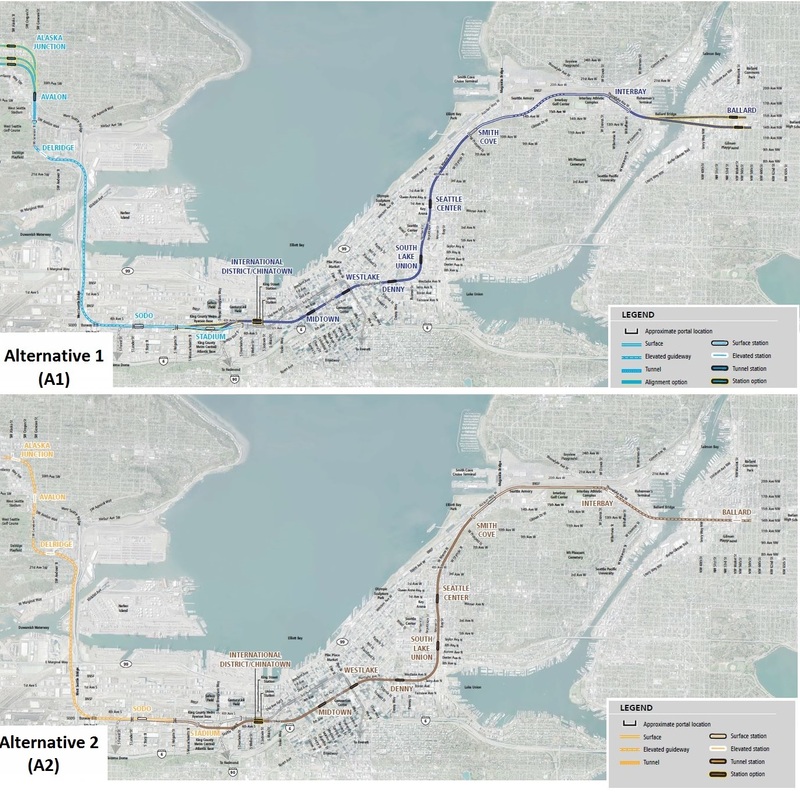 The general concept remains generally similar as previously reported, but at this time Sound Transit and Metro, in coordination with the City of Mercer Island, have made some refinements and identified options for Mercer Island to consider. As ST3 goes through a mountain of process to get to a preferred alternative, we’ve noticed a disturbing trend: The stakeholders who are getting their way are focused on how they will be impacted rather than what is best for riders. 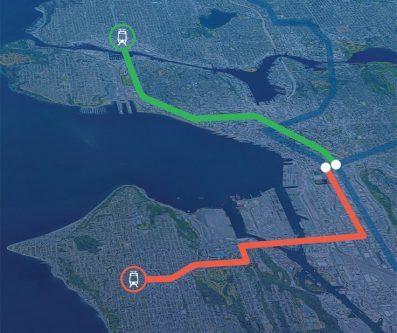 It should go without saying that the whole point of expanding Link is to serve future riders, their needs should be the first and last consideration before any route is chosen. As we’ve mentioned before, this is the point in the process where a balance has to be struck between costs and benefits. There is limited budget and it’s highly unlikely that additional funding is coming from any level of government. On the off chance more funding comes through, the preferred alternative should include higher priced options where they have an impact, but in general it’s time to be realistic. 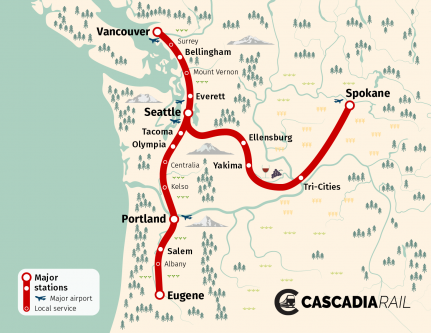 Sound Transit recently released the level three alternatives, which is a mashup of the options that made it through the SAG and ELG along with the Representative Alignment (RA). It looks like most of the higher cost options are lumped into Alternative 1 (A1), and a mix of lower cost options into Alternative 2 (A2). At this stage we’re hoping to bid farewell to the RA. It was a good place to start, but doesn’t have any features that are worth preserving. We’ll focus on the good parts of A1 and A2 and what needs attention/improvement. Sound Transit is currently gathering public input on the ST3 Level 2 Planning options they presented a few weeks ago. As we noted early this year, this is an opportunity to make light rail exceptional and the difference is all in the details. At this phase it’s time to apply the concepts of reliability, expandability, and accessibility and make some choices. Seattle has been successful in redefining urban mobility, but our recipe for success doesn’t have to be unique. Like any good cook who starts with the fundamentals of a solid recipe, then adjusts the ingredients to fit different tastes and dietary needs, each city can adapt elements of successful mobility strategies to best meet their own needs. Over the past few years Seattle’s recipe to redefine urban mobility has include investment in transit service, adoption of TNCs (Lyft and Uber), growing the car share market, and experimenting with bike share – all of this while Seattle experienced the highest increase in transit ridership of any major city in the US. 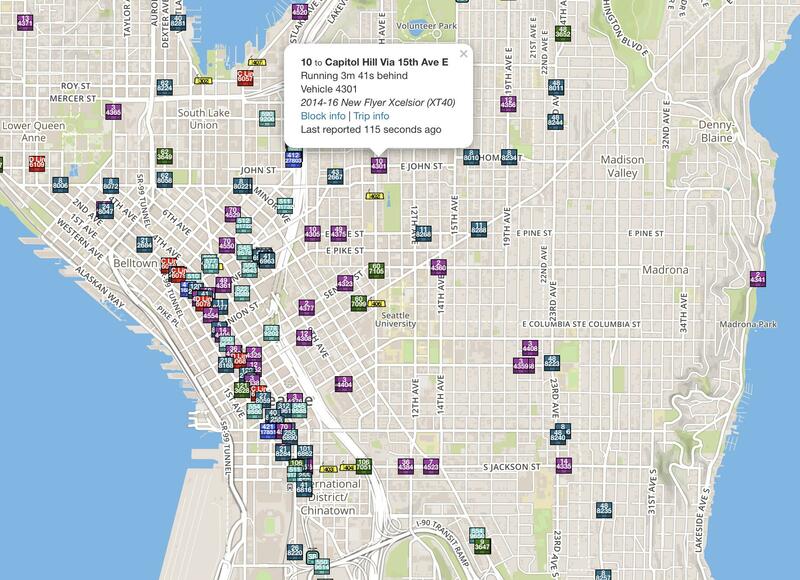 We are growing the mobility ‘pie’ with more choices to get around than ever before. Below is a joint letter from Seattle’s Transportation Advisory Boards, which was sent to Mayor Durkan last month. 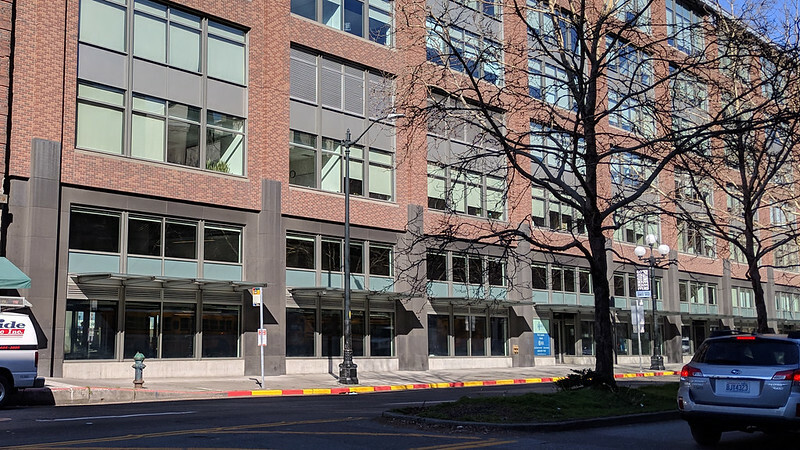 As the search for a new SDOT director stretches on, we thought our readers would be interested in what the advisory boards want to see from the department going forward. – ed. As members of the Seattle Pedestrian Advisory Board (SPAB), Seattle Bicycle Advisory Board (SBAB), Seattle Transit Advisory Board (STAB), and the Seattle Freight Advisory Board (SFAB) we would like to congratulate you on your election as mayor and anticipate many positive and challenging transitions for Seattle in the years to come. A new director of the Seattle Department of Transportation (SDOT) will have a significant impact on the modes of transportation that we each represent and as such we hope to weigh in on the nationwide search. 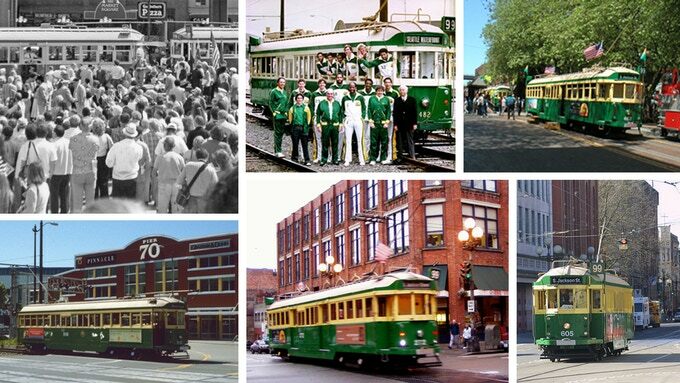 We hope you will consider our positions and concerns in choosing the next SDOT director. These advisory boards decided it would be more beneficial for you to receive a collaborative letter, as we are not simply modal silos, but passionate Seattle residents who desire a safe and efficient city that accommodates and embraces all modes of transportation. We have compiled a list of key values and experience that we would like see reflected in the new SDOT director. Many of the values listed below drive our own commitment as volunteer stewards of the city’s alternative transportation and freight transportation advisory groups. Webring a diversity of skills, backgrounds, and expertise, and reflect the diverse community of people trying to move safely and easily around Seattle. Thorough and efficient implementation of safe streets policies. Thank you for your consideration and please do not hesitate to contact us with any questions. If you have an ORCA card, there’s a good chance you got it through your employer or your apartment building. The largest group of ORCA users get their pass that way, taking advantage of one of two “Passport” programs (ORCA Business Passport Program for employers and the Multifamily ORCA Passport for apartment-dwellers). In a Request for Proposals released April 13th, Sound Transit outlined a set of system upgrades for its passenger information systems (PIMS). The most visible component of these systems are the realtime arrival information for ST trains and buses, but they also include backend systems that collect and process the data. This project has three major components: real-time prediction enhancements, better schedule integration, and cross mode messaging, integrating data from multiple transit modes into a single enterprise system. The contract will replace the Public Address system and the station Variable Message Signs currently in place for Link, Sounder and Tacoma Link. Bringing all of this data in to a single combined system may require new or augmented data collection equipment (e.g. tracking or passenger counters). Passenger-facing improvements include provisions for communicating train size, passenger load, and out-of-service indicators, among a long list of other datapoints. 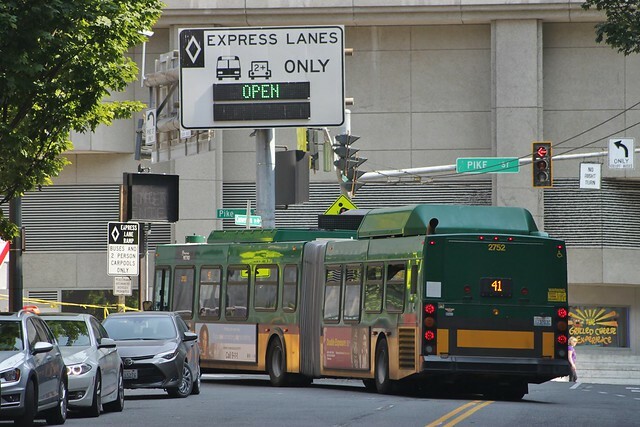 Information would be displayed on station signage, the Sound Transit website, on One Bus Away, and in GTFS/R feeds that interface with third-party services such as Google Transit. 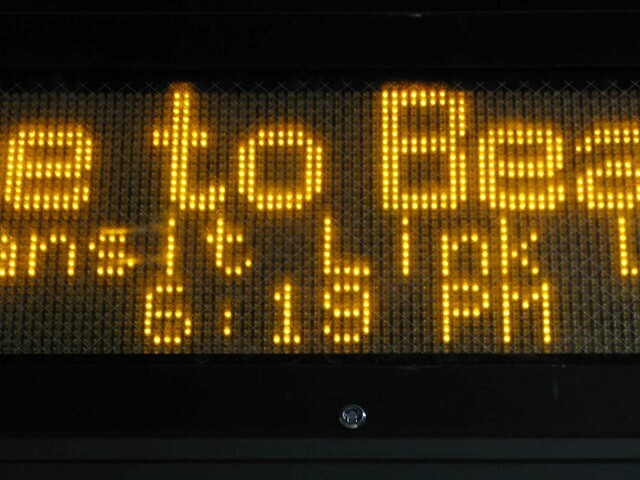 East Link’s budget already funds augmenting the current system to support multiple lines serving the same station. The current two-minute warning announcements would be modified to announce the train’s destination and line color. If the RFP failed for some reason, the existing project would still support multiple lines, while riders would not enjoy any benefits of a more modern information system. Sound Transit notes that the current Link passenger information system is approaching the end of its life (though some readers may proclaim that has already passed). 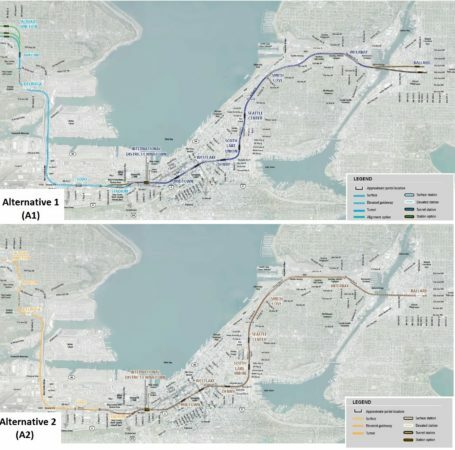 Replacing the entire PIMS is a disruptive task and Sound Transit has wisely identified that the best time to complete a major overhaul would be in conjunction with the opening of East Link, when major modifications would have been taking place anyways. 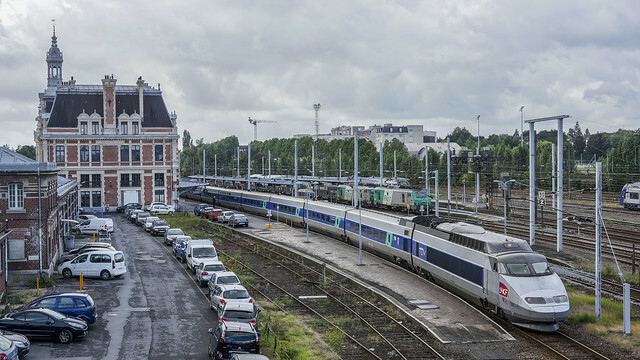 The project is backed by lifecycle replacement funds that periodically repair and replace aging equipment as well as a portion of ST3’s technological innovations budget. 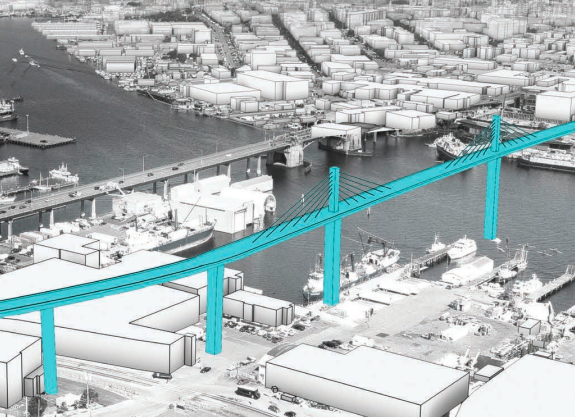 This RFP covers Link, Tacoma Link and Sounder. Future RFPs will bring ST Express and ST’s future BRT lines in to this system. The RFP boldly states that “multiple, unintegrated systems does not satisfy the [requirements],” but then admits that implementation may come in multiple phases, thus diluting–or at least postponing–the very goal this and the future RFP set out to achieve. 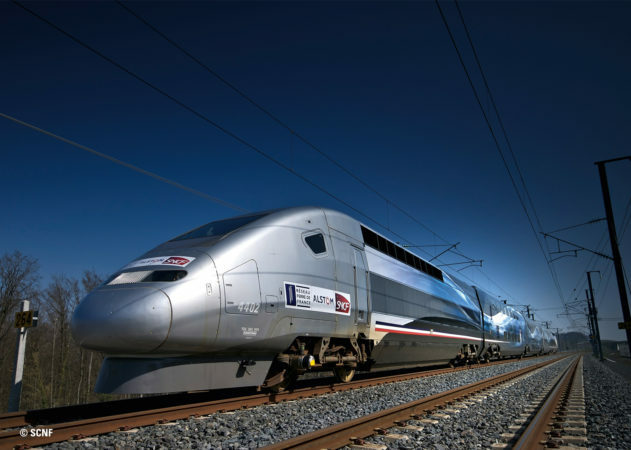 Work on the project is scheduled to begin in 2019; proposers have been asked to offer implementation schedules that deliver benefits as early as realistically achievable. However, some aspects have hard deadlines to coincide with the launch of East Link service. 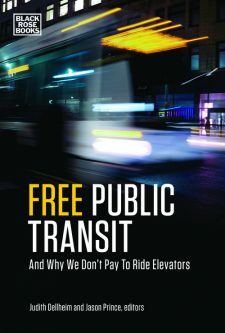 There’s a new book out called Free Public Transit: And Why We Don’t Pay to Ride Elevators. 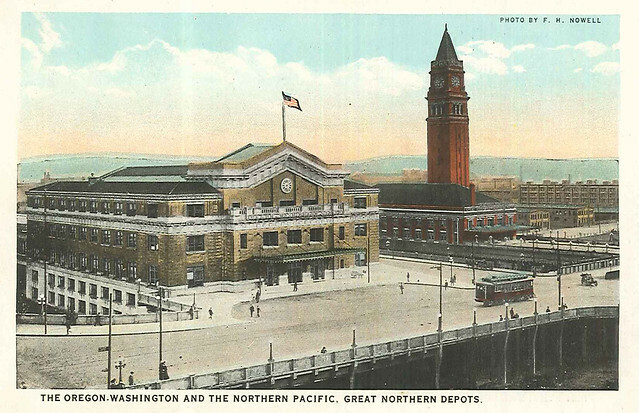 On Monday, May 21st, the Transit Riders Union is hosting a book launch and a panel discussion of past, present and future efforts to advance the vision of free public transit here in the Seattle area. The event will be held 6:00-8:00pm at University Bookstore, 4326 University Way NE. You can RSVP on Facebook here. Panelists will include Rosalie Ray, author of one of the book’s chapters; Ifrah Abshir, a leader in the successful campaign to win transit passes for Seattle public school students; City Councilmembers Mike O’Brien and Teresa Mosqueda; and several more guests. I will emcee the event. The book explores the winning strategies and pitfalls of case studies of free public transit ranging across thirteen countries: the United States, Montreal, Toronto, Estonia, Greece, Italy, Sweden, Brazil, Mexico, Poland, China, France, Belgium, and Germany. As much a manifesto as a guide, this explosive book, the first ever on the topic in English, is written for those who want to truly revolutionise their city and move it forward. 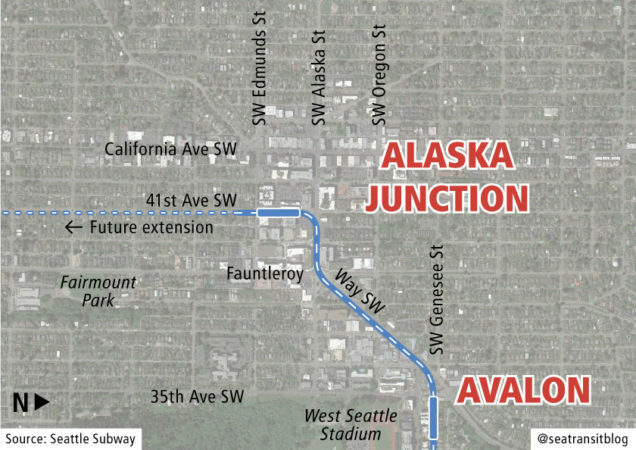 Thanks to businesses, elected leaders and community groups that shaped and endorsed it, Sound Transit 3 is moving forward, with planned expansion to Ballard, West Seattle through downtown in the form of a new tunnel. Community leaders from across Seattle have thoughtfully considered the future of our growing city as they reviewed numerous options for stations and alignments. Their recommendations for additional study are excellent and should be adopted by the Sound Transit board. ST3 was a bold bet on the future of our city and region, and the vision and leadership that got us to this point must continue as we design and build the system. 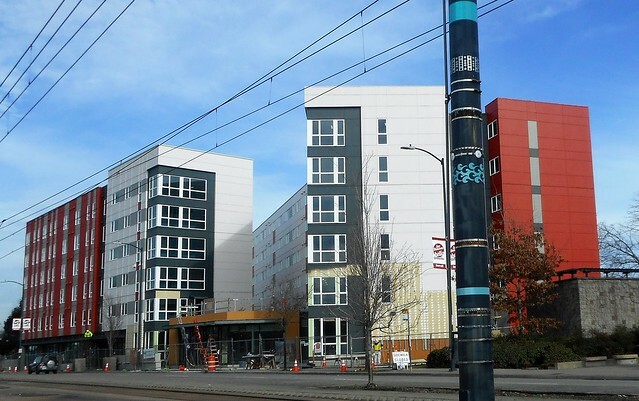 Light rail helps make a place, meaning we have an obligation to build a system that thoughtfully integrates into the communities it connects. Light rail helps make a city, so we must consider how our city will be in 20-50 years and build the system for that need. Light rail helps people make connections, meaning the system we build should maximize connectivity for the most people with the greatest ease. When Metro’s XT40 trolleys hit the streets on August 19, 2015 they also introduced the Touch to Exit feature to the fleet. The system, officialy the Vapor CLASS sensing system, uses a set of ultrasonic sensors mounted above the door. One the bus is fully stopped, an indicator light above the doors illuminates and if the sensors notice a break, the system sends a signal to open the doors. Shortly after not noting any breaks, the doors will shut automatically This means that all sets of doors can be operated independently, with the bus operator only having to take control of the front door. In total, 279 of Metro’s buses have been outfitted with the feature, including all 174 electric trolleys, 20 RapidRide buses and 85 three-door articulated hybrids. King County DOT’s Public Affairs Coordinator Jeff Switzer explains that the goal was to improve the customer’s ability to exit by the back door and activate the back door themselves.